When the media reports on a death involving a Los Angeles DUI, the victim is usually a pedestrian or the driver or passenger in one of the vehicles that crashed. But deadly DUIs can also result from incidents involving much smaller, off-the-road vehicles. 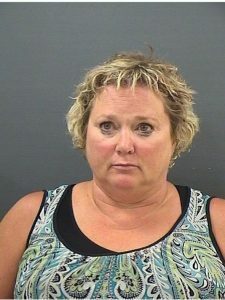 Police in Gallatin, Tennessee, charged Lori Doyle, 55, with vehicular assault and DUI first offense after her husband fell off a golf cart and hit his head at the Foxland Harbor golf course. Although emergency responders took Doyle to the hospital, he died two days later. The officers reported that they saw three open beer cans in the golf cart and one on the roof. Investigations are continuing, and Doyle could face additional charges. Doyle’s death is one example of why courts take golf cart DUIs very seriously. Last March, a judge in Sumter County Court, Florida, sentenced 44-year-old Marjorie Martinka to 60 days in jail followed by a year on probation. She had been driving the golf cart at 1 a.m. in the morning on February 1 along a road in the Village of St. Charles. Officers found a bottle of raspberry vodka in the vehicle. Martinka failed a field sobriety test but refused to take a breathalyzer test. California Vehicle Code 21716 identifies golf carts as vehicles, so anyone driving under the influence on a golf cart is subject to arrest on charges of DUI.